Asian Tour golfers Arie Irawan, Aung Ye Htet, Carlos Pigem and Koh Shan Deng strutted the catwalk in Eco-Chic Couture created from traditional ASEAN fabrics at Saujana Golf and Country Club as one of the many highlights of this years’ experience of ‘Golf Like Never Before’ during Maybank Championship 2017. The fabrics are created by traditional weavers from the Maybank Foundations ‘Maybank Women Eco-Weaver Program’, featured as one of the many highlights of this years’ experience of ‘Golf Like Never Before’. Maybank Women Eco Weavers is one of Maybank Foundation’s flagship programs in line with humanising financial services. 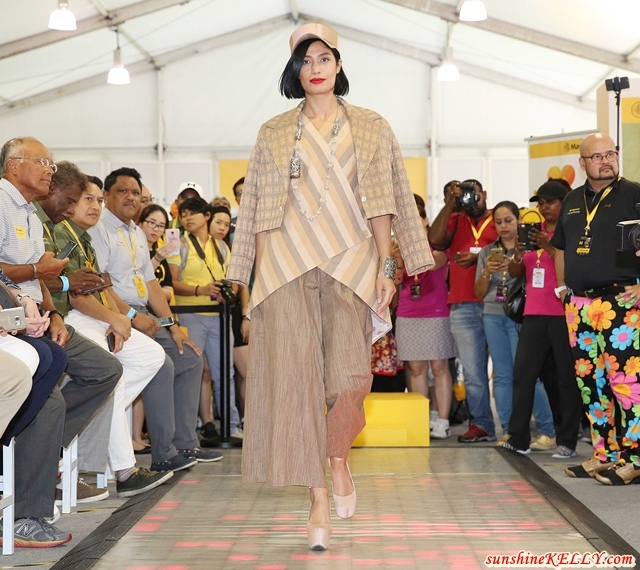 This program is essentially designed to promote commonalities in ASEAN countries by enriching and promoting traditional woven textiles in a sustainable manner for various communities in becoming economically independent whilst advocating financial inclusion at the same time. In Indonesia, the program is carried out in four areas, namely East Lombok and Central Lombok in West Nusa Tenggara, and also at Sawahlunto and Tanah Datar in West Sumatra and impacts 400 women weavers. These golfers look like real professional models. I wouldn't have realised. What a great cause that they promoted. Looks very fancy and interesting! !